What does the title, Time is a River, represent for you? What characteristics do the passing of time and the flowing of the river share? How did time and the river act as representations for one another in the story? Why did the river come to mean so much to Mia? The road to healing does not follow a straight course. Often emotional healing takes two steps forward and one back in a circuitous route to recovery. The opening of the book reflects that backwards and forward movement. Cite the small steps forward Mia takes and the subsequent set backs as she gradually gains strength and purpose. Discuss how the movement of casting--back and forth--symbolizes this pattern of healing. Go back and read the Mark Nepo poem, "Holding Each Other Up" that opens the novel. What is the significance of opening the narrative with this poem? On the first page of Chapter 1, when Mia is making her way to Belle's cabin, the narrator tells us, "Mia Landan no longer believed in fairy tales" (Pg 1). By the end of the book, do you think Mia believes in fairy tales again? Discuss how the mountainous landscape and Mia's experiences in Watkin's Mill can be likened to a fairy tale? Discuss Mia's relationship with her sister Maddie. How is Maddie like a mother to Mia; how is she like a sister? How like a friend? What is the difference? At the start of the novel, Mia is in need of rescue and Belle is there for her. How do their roles reverse by the end of the summer? Is Mia there for Belle in the same way? In your experience have you found that friendships are strengthened when each person gives and takes? Do you think rain had any significance in Mia's story? Did you notice that important events seemed to happen during a downpour? Being that nature was so important to Mia, could this have been nature's way of acting as an actual character in the story? How else did nature affect the plot? As Mia learns and grows as a resident of Watkin's Mill she improves Belle's cabin as well. When it is time to leave she "[breathes] deep as if she could somehow absorb the soul of the cabin to carry with her" (Pg 360). In what ways does the cabin have a soul and a spirit? Have you ever felt that a place or an object has a personality or a soul? When Mia begins exploring the cabin she finds not only Kate's diaries, but an armoire filled with treasures, including hand-painted china, priceless silver, bamboo fishing rods, and beautiful clothes (page 45). If you were to fill a hope chest today, with your most prized possesions, what would you include? What would these things say about you should somebody find them 50 years from now? Discuss Mia's relationship to her body throughout the course of the novel. On page 49 the narrator tells us that Mia felt as betrayed by her body as she did by Charles. How does her time in Watkin's Mill affect her feelings toward her own body? Has she made peace? How has Stuart played a role in this? It seems that Kate and her granddaughter Belle have quite a bit in common, even though they've never met. A love of fly-fishing "ran through their bloodline as sure and strong as the currents in a river" (Pg 106). Do you think preferences like this are innate or learned? What hobbies or preferences do you think you have inherited from a relative? Mia learns much of Kate Watkins' history directly from the people in town. Whether it is through stories passed down through generations, or from Kate's old friends who are still around to share. How does this technique of telling the story via an oral history affect the credibility of the narrative? In an age in which almost any information you could dream of is available at the click of a mouse, how does the unraveling of the history of Kate and of Watkin's Mill through hard-earned research, from first hand sources, seem more credible? Mia nicknames the giant, and elusive, rainbow trout "Mr. Big." 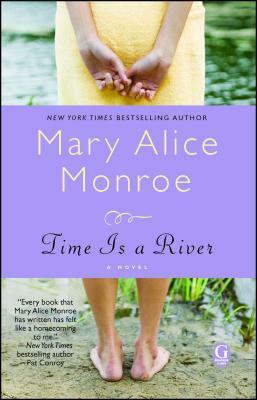 On page 165 she thinks, "Mr. Big was as ancient as the river he swam in, wise and wary. At what price wisdom, she wondered? Had that big trout ever felt the prick of steel in his mouth?" What do Mia and Mr. Big have in common? How does Mia's relationship to him develop? Why do you think she still has not caught Mr. Big by the end of the novel? When Mr. Pace tells Mia the story of DeLancey's disappearance and the trial that followed he says, "People walked into the room saying 'poor Kate' and walked out saying 'poor Camilla.' In matters of the heart, sympathy usually goes to the wronged wife" (Pg 309). Being a wronged wife herself, how do you think Mia maintained her feelings of kinship with Kate after learning she was having an affair with a married man? Do you think Kate's story helped Mia to see her own divorce in a new light? "Genes have no claim on love" (Pg 362). By the end of the novel Mia feels love toward Kate, and toward Belle. Are there any women in your life who have been so meaningful to you that they feel like family? Who has been like a sister to you? Who like a grandmother? "Each step she took into the woods was a step away from her old life. Was It any wonder great fairy tales took place in enchanted forests?" Discuss how Mia's journey to a remote cabin in the mountains reflects a fairy tale. Classic fairy tale structures are included in the novel. Find examples and discuss each: 1) the old wise woman 2) the magical hut or sanctuary 3) feminine solidarity 4) dressing as a male 5) a caring lover 6) transformation 7) a restored, renewed world order.